Desiree is our Office Manager, and has been with our company since November 2013. She handles billing, receiving, and job upload verifications for our corporate office and secondary insurance audits. 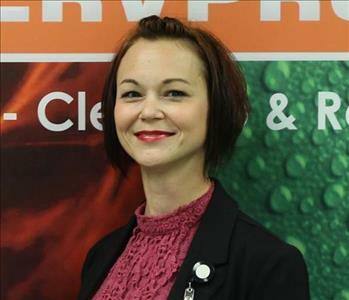 She has completed SERVPRO’s Employee Certification Training Program (ECTP) categories for Crew/Customer Service, Water Restoration, Fire Restoration, and Carpet & Upholstery Restoration; along with QuickBooks Certification, and Xactware ContentTracks. Desiree spends free time with her son, enjoys reading, watching movies, and watching football. Heidi is our Marketing Manager, and started with the company in February 2015. 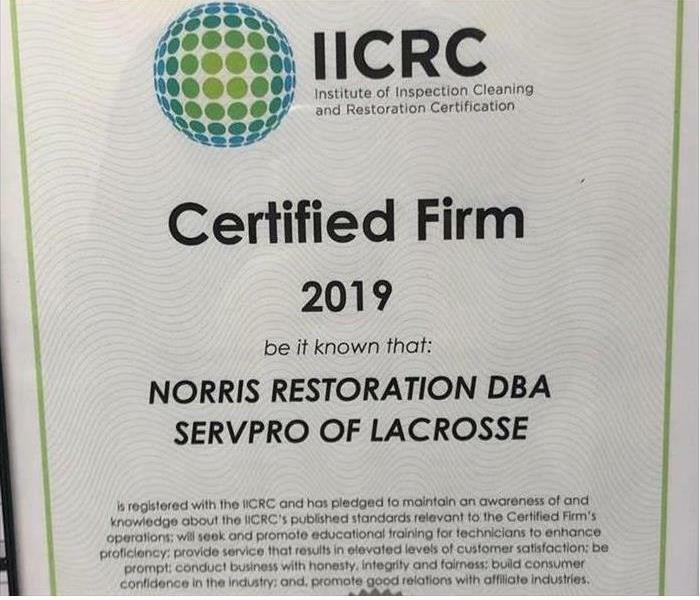 She has IICRC Certification for WRT (Water Restoration Technician) and FRST (Fire and Smoke Restoration Technician), and has completed SERVPRO’s Employee Certification Training Program (ECTP) categories for Crew/Customer Service, Water Restoration, Fire Restoration, and Carpet & Upholstery Restoration. Tonja is our Training Coordinator, and has been with the company since February 2016. 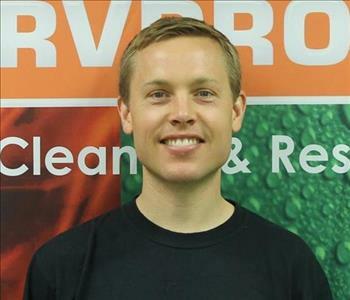 Kris has been with SERVPRO since May 2016, is our Project Coordinator, and has completed training in Xactimate and SERVPRO’s Employee Certification Training Program (ECTP) categories for Crew/Customer Service and Water Restoration. She lives in Sparta with her husband Claus, their four children, and two dogs and cat. In her free time she loves to canoe, travel, hike, read, and spend time with her family and friends. She is a cancer survivor, and an avid wrestling fan; of which both of her sons compete in regularly. Mitch is a Crew Chief, and started with the company in August 2016. 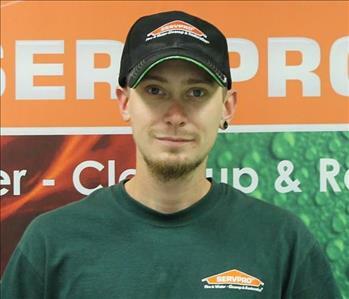 He has completed SERVPRO’s Employee Certification Training Program (ECTP) categories for Crew/Customer Service, Water Restoration and Carpet and Upholstery restoration. He has recently acquired his LEAD Safety Training and IICRC Certifications in Water Restoration and Applied Structural Drying. 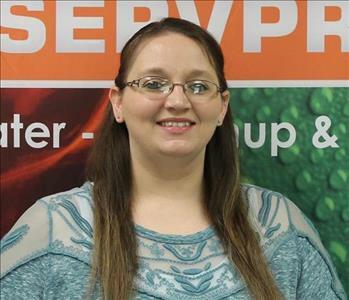 Abby has been with SERVPRO for since May 2018. She is originally from Wisconsin Rapids and has been living in Onalaska for four years with her fiancée. She enjoys spending time with her step-daughter, her two dogs, and her cat. If you happen to call the office, you may just get Abby to answer. 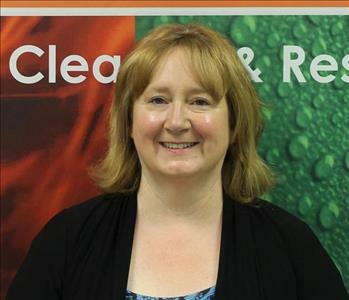 Michelle is part of our #WeAreLocal GREEN team as a Production Technician. She is relatively new to the area and moved here with her three dogs and two cats. 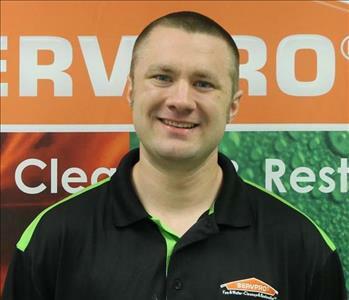 She is excited about working with SERVPRO and will soon be your main contact while working on a fire. Jacob was recently brought on to your #WeAreLocal GREEN Production Team. He recently moved back to Wisconsin from Texas with his wife, three children, dog, and fish. If you see him on a job, give him a shoutout. Jamie is a newer addition to the Business Development Team. She is from the Necedah area. Her family still lives there. Most days, you will be able to find Jamie on the streets of Onalaska, Tomah, Viroqua, and the Dells. Give her a hello if you happen to catch her.